When it comes to marketing success, the importance of a timely, relevant campaign cannot be overstated enough. You see this all the time with major brands - some big event is going on somewhere in the world like the Super Bowl and marketers rush to be the first to integrate it into their campaigns. As the cheery holiday season rolls around yet again, you're presented with the perfect opportunity to do exactly that - at least until the stroke of midnight on New Year's Eve. 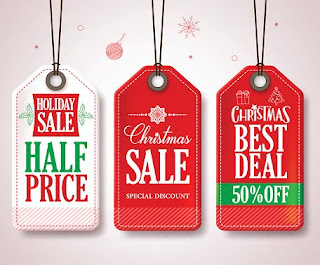 But, if you really want to integrate the holidays into your marketing campaign and generate the type of success you deserve, you'll want to keep a few very important things in mind. Visuals are always an important part of your marketing collateral, but they become especially so during the holiday season. 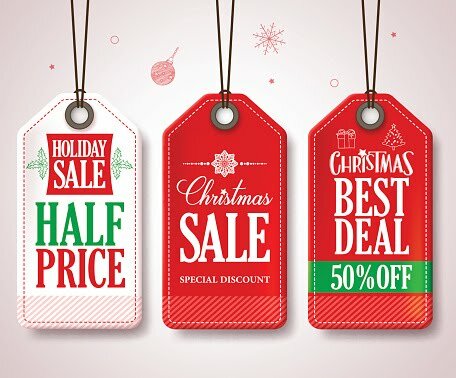 From roughly November until the Christmas holiday season passes, people are already in a receptive mood for this type of imagery - so filling your marketing materials with holiday-themed colors, Christmas trees, packages, and other items is a great way to make sure you're noticed. According to one study, this type of imagery can increase a person's retention of your messaging by up to 80%. This type of visual element can make your content more likely to be shared up to 40 times more than the average amount. If there's one thing you can essentially guarantee about the holiday season, it's that calendars will be filled to the brim with holiday events all throughout the month of December. If you really want to attract the attention of that ever-important local market, you should start looking around for local events that you can sponsor. Not only can you help get your brand out there and raise awareness, but even if the event is only slightly related to your product or service you can still make new contacts and generate new leads as a result. If there is one key to success regarding holiday marketing, it can all be boiled down to a single word: emotion. The holidays are a naturally emotional time as people get nostalgic for friends, family members, and holiday experiences of years past. It's also a time where people make decisions emotionally rather than rationally - especially when it comes to purchases. Because of this, you should try to lean into the most emotional factor of your campaigns as much as possible. Focus on cheery words and images that will help people feel good about things like giving back, "paying it forward," and more. This is more likely to trigger an emotional response in your campaign, which will spawn action sooner rather than later. These are just a few of the core ways you can use the holiday season to your advantage throughout your marketing campaign. Perhaps the most important benefit of the holidays is that you're working with a built-in ticking clock. Christmas is right around the corner, and no matter what you do, you can't delay it. People will naturally feel inclined to get those last minute gift purchases in before the big day arrives. If you've been playing into the holidays for your entire campaign, you can pretty much guarantee that you'll be on the forefront of their mind.